Made vivid by Rosen’s careful crafting, inquisitive Henri and the variety of countries in which he investigates dig up intriguing realities from the past. Leonard Rosen’s The Tenth Witness reintroduces handsome Henri Poincare, who readers met as a mature man in All Cry Chaos. In this prequel, we find a youthful Henri navigating the waters of both romance and a sunken-ship salvage that could change the trajectory of his career forever. Yet nothing comes easy for Henri: his beautiful girlfriend’s family of steel magnates might just turn out to be Nazi war criminals. In his investigations, Henri meets the sobering, sickening realities of not only Germany’s terrible past but of the all-too real present. The characters the author draws for us, including a handful of ancient Holocaust survivors, suspected war criminals, and even a set of diabolical dogs, are so vivid that they make every scene more chilling. Rosen is a gifted writer of dialogue and scenery, working comfortably to take us with Henri to Germany, Hong Kong, Belgium, and elsewhere. The novel has its slow points in its first quarter but soon picks up as Henri’s investigations intensify. 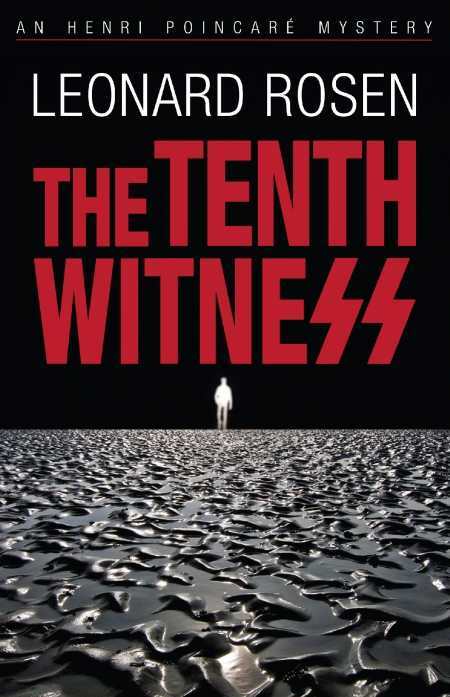 In addition to the excitement of its latter pages, The Tenth Witness offers a thoughtful treatise on what it is to forget, to forgive, and to take responsibility for the past. Through Henri Poincare, readers of all ages can appreciate the terrible beauty of a life lived with love for others.